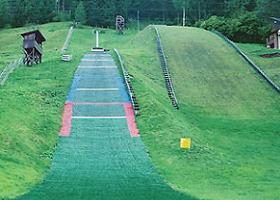 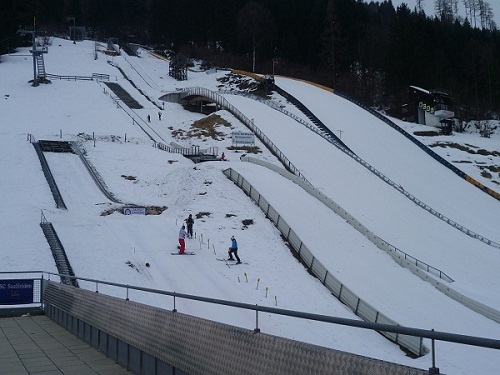 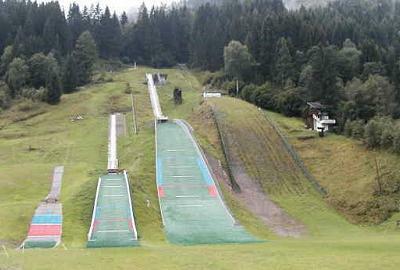 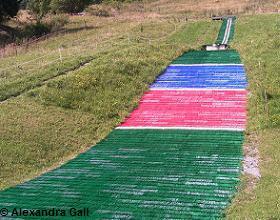 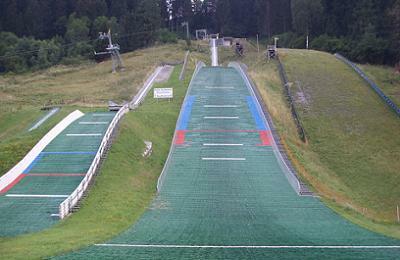 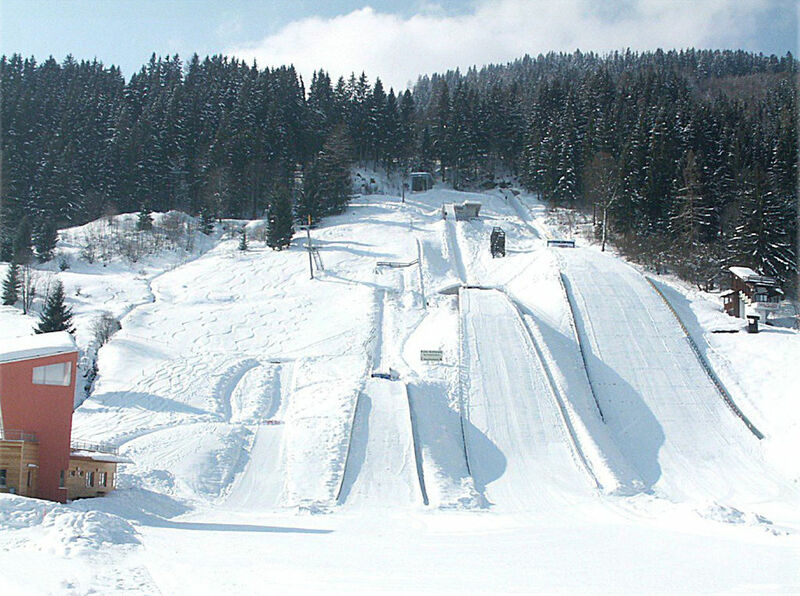 Before Bibergschanze in Uttenhofen was built in 1986, there were already two smaller jumps at hill from the 70’s. 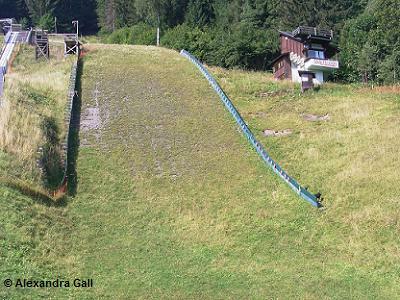 However between 1950 and 1980 Ritzenseeschanze and Drei-Tannen-Schanze existited in Saalfelden, which were kept up by the local ski club and military sports club. 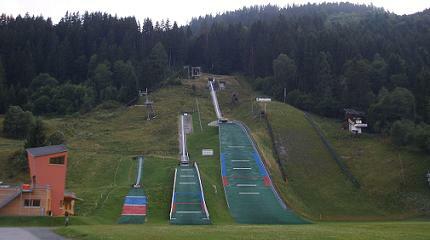 In 2004 the two smaller jumps got a plastic covering and the K45 was enlarged to a K60. 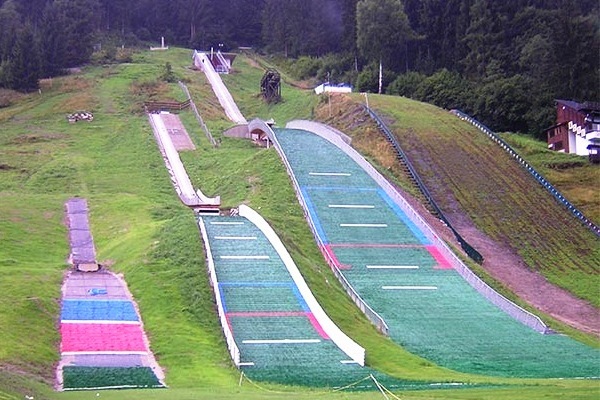 The opening ceremony took place on 2004-10-10 and for this occasion the ski jumping complex was renamed into “Felix-Gottwald- Schisprungstadion“. 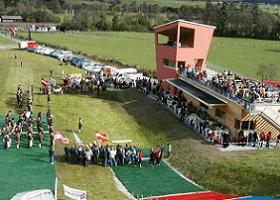 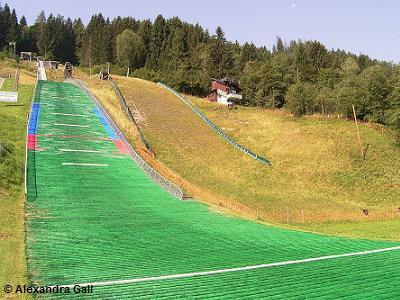 In 1988 and 1999 the Nordic Junior World Championships took place at Saalfelden on Bibergschanze and on HS 95 every year a Ladies COC competition is hosted. 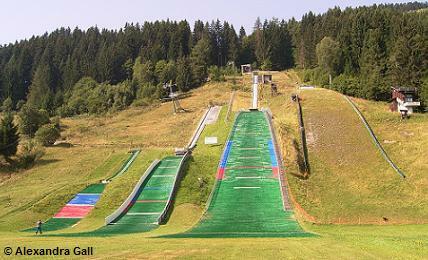 Saalfelden is an austrian winter sports centre in the Pinzgau and on about 750 m NN and has 16,000 inhabitants. 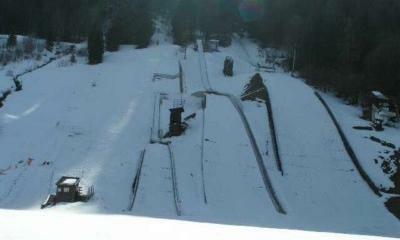 Skocznia K85 posiada igelit? 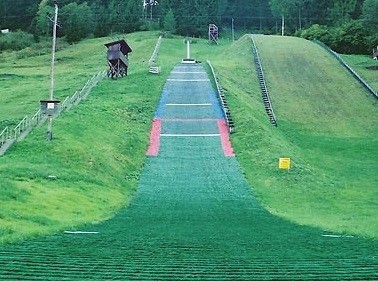 Żadne zdjęcie tego nie pokazuje.